On Saturday I joined my fellow bloggers at the unassuming Bedouin Cafe & Deli situated in the heart of the artsy lower Woodstock area. I really enjoy strolling around this part of Woodstock, but the Saturday morning traffic is another story! I sampled labneh (a creamy cheese made with strained yoghurt) for the first time, and simply loved it. 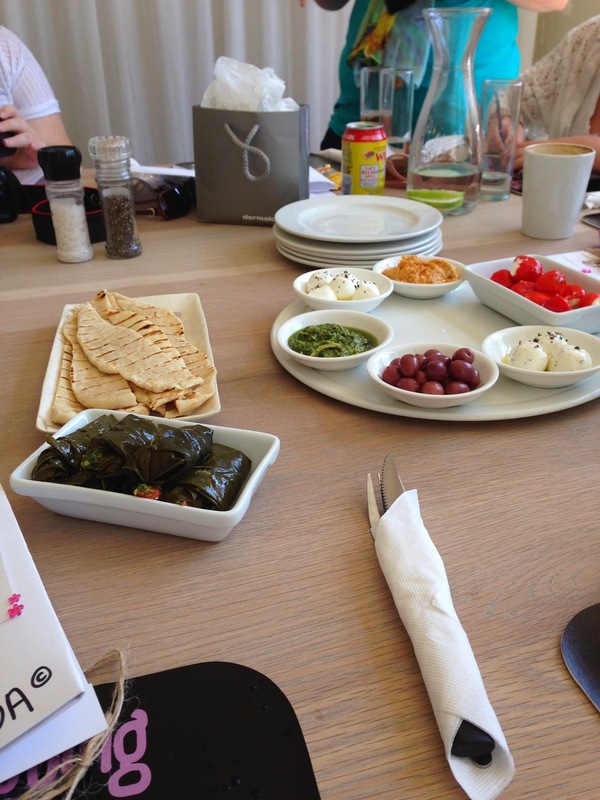 The stuffed peppadews were also absolutely divine and so were the stuffed vine leaves- a perfect mezze platter was served! I look forward to many more, and need to make a special mention of Heather De Bruin, Fi Fitzpatrick and Leana Henke who run all the administration for our group and ensure that we are always on track. From the great venues, the buddy system to the always highly appreciated goodie bags! Much love to these beautiful women; and for going the extra mile to bring positivity to each day. do u perhaps know where i can get the Blog Off thing? Unfortunately not Hun! One of the other ladies got for us.